Three times have I sat inside the maternity ward with my wife and new baby and received a massive amount of papers filled with instructions on taking care of the new family member. I’ve had so many pediatrician visits that I can’t begin to count them. I’m not the first to walk this road. So let me ask the parenting masses, what did your pediatrician or hospital staff tell you about taking your infant to the dentist? I was able to have a conversation with author, parenting expert, entrepreneur and TV personality Rosie Pope about her partnership with the Monster-Free Mouth Movement. The Monster-Free Mouth Movement is sponsored by the American Academy of Pediatric Dentistry (AAPD) to spread the word that regular dental visits are an important part of keeping infants and children healthy and pain free. As my conversation with Ms. Pope began, we discovered that at the beginning of our parenting journey, we were equally clueless about taking our babies to the dentist. 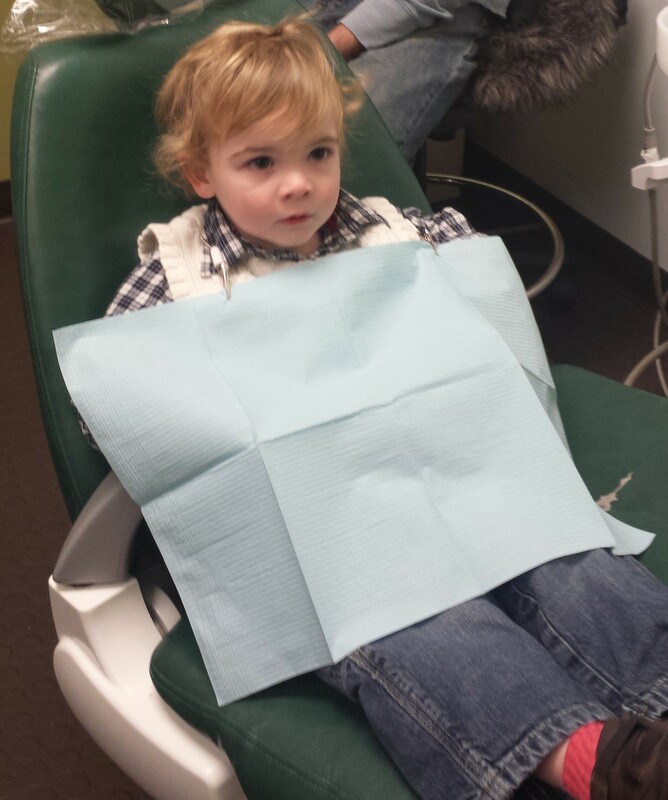 One well-meaning parent had even told me I should wait until my child was two to visit the dentist for the first time. As we spoke, Ms. Pope noted that the AAPD now recommends that children visit the dentist within their first year. Brushing should begin when a child cuts their first tooth, but flossing only needs to be done once the teeth begin to touch one another. She also added, “Kids need assistance in brushing up to age 8.” Our dentist said the same thing at our children’s last check-up. When parents wait to have that first visit, Ms. Pope pointed out that they “miss out on education from the dentists to learn about brushing, flossing, and taking care of teeth as well as the check-up.” Also, beyond the check-up, early visits “help the child get used the dentist,” and create a lifelong habit of good dental hygiene. A good rapport with a dentist can go a long way for future check-ups. As Ms. Pope pointed out, “children do not need to go through that pain, in addition, tooth decay can also effect the child’s second teeth” and “tooth decay is nearly 100% preventable.” To keep children from suffering the pain that is caused by tooth decay, as well as ensure that teeth are growing properly, visit a pediatric dentist. To find a dentist near you, click here. The Monster-Free Mouth Movement has begun, and you can learn more about the movement and find information, games, and strategies to help you and your children fight tooth decay, gingivitis, and tartar here.